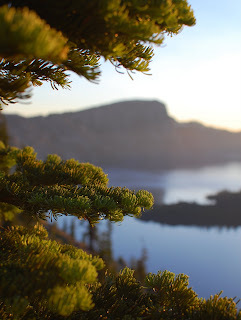 Crater Lake is what remains from what must have been a spectacular eruption of Mount Mazama, whose ash reached Edmonton. Like a kettle lake, it has no outlet. The water level has reached equilibrium where the rate of evaporation and seepage closely matches the rate of rain and snowfall.